Put baking paper in a circular cake mold or form or other circular dish. Add the ingredients for the crust in a blender or food processor and blend to make smooth mixture. Place the mixture in the cake mold and push it down with spatula to spread evenly. After that,add the ingredients for the filling in the blender and blend again until you have nice and creamy mixture. Pour the filling over the crust and put in the freezer for about 4-6 hours. Melt the chocolate with coconut butter on the stove or in microwave and sprinkle over the top. 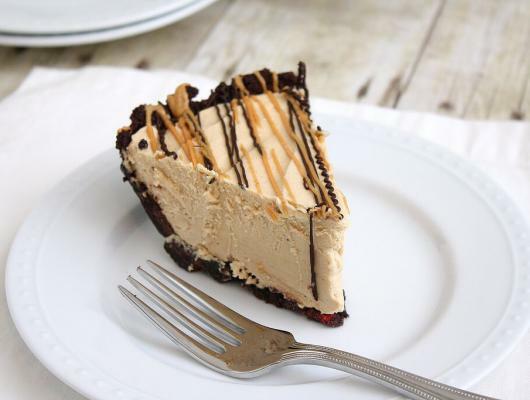 After this,sprinkle the peanuts over the ready pie. Leave the pie on a room temperature for about 10-15 minutes before serving. Cut into pieces,serve and enjoy the sweetness. 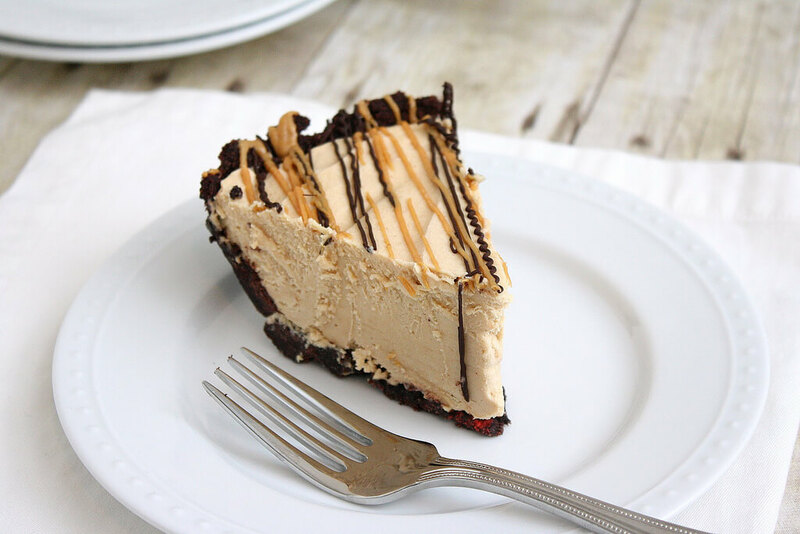 You will be amazed at the unique taste and flavor of this peanut butter pie,considering how easy it’s to prepare and make.If you like peanut butter and bananas,you will love this healthy dessert which is sugar-free.Also it’s gluten free,vegan,no bake with many health benefits.What else can be desired from a peanut butter pie.